China could indeed be the next Basel victim. After all, Japan was the first victim, and Basel 1 finished off the Japanese economy so that deflation is the norm. And the United States and certain Euro nations were the second victim, a group victim, of Basel 2. So, it is logical to assume that China is next and the Swiss could bring that about by counting old loans as being non performing. Here comes something similar to mark to market, to the banking system near you. Before discussing a quick review of Basel and China's status, I have held out hope that the new thinking by central banks could really stop this liquidation nonsense. Procyclicality must be looked upon as being a form of liquidation. I am encouraged by Ben Bernanke's recent statements and by some push by the new Basel to stop procyclical behavior. But so far it is all talk, and now we see this push to make things tough on China gaining momentum, and I just have my doubts that they will change. But it is certainly time for countercyclical action, not just countercyclical talk. Even Narayana Kocherlakota doesn't embrace the new thinking. He believes that helicopter money won't provide much of a lift, but he isn't talking about helicopter money at all. He is talking about the government issuing bonds. But real helicopter money is tax breaks or infrastructure financed without the treasury issuing bonds, by Fed base money alone issued one time. Back to Basel. Japan was an easy target as we look back. But we visit the scene of the Basel crime again, not because we thought something was sinister in the first place. But the procyclical efforts of Basel 2, in impacting the US housing bubble and crash of 2007-2008, and the destruction of real estate markets in Spain and other peripheral nations, formerly known as PIIGS, makes one suspicious about both Basel 1 and 2. Say what? Bludgeoning death by blunt force trauma is what the failure to differentiate really meant for the Japan economy. Sure there was a bubble of assets in Japan, but, did it all have to be destroyed to the point that over 20 years later we are still experiencing deflation and Zombie banks and lost decades, plural? Money supply had been too loose for much of the Japanese asset bubble of 86-91. But this naive article by the Economist in 2006 argues for Basel 2, saying that Basel 1 was much too crude, which is true. But then the author lauds Basel 2 for being so much better. Well, that didn't work out so well did it? The central bank didn't buy bad paper in the housing bubble. 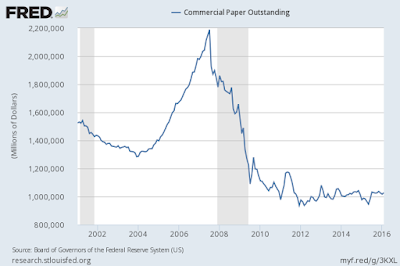 And the central bank implemented mark to market, which also destroyed the value of good financial paper. That seems fairly blunt to me. The Fed actually destroyed the entire economy over a housing bubble that was only raging in 4 states, Florida, California, Arizona and Nevada. So, Basel 1's crudeness took down Japan. Basel 2 took down the US and Spain. What will Basel 3 or maybe they call it IV by now, do to China? China will not become Japan or even the USA, just to please Basel. But the Bloomberg article I found at the Swiss website, is significant. It is titled, A Swiss Pen Stroke and Bad Debt in China Could Go Boom. If the new Basel decides that all loans over 90 days old with no payments made, are automatically non performing, that puts China's banks in a world of hurt. As I said at the beginning of this article, this is mark to market but in different form, all over again. This could destroy the Chinese economy. I don't happen to think the Chinese will take it lying down. Just because the United States congress sold out to Basel in allowing mark to market and the destruction of the economy on a much larger scale than was necessary does not mean that China will accept that international brutality. 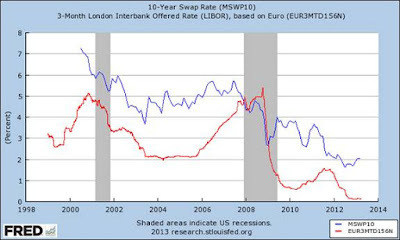 China was smart enough to reject Basel 2, while our politicians sold us down the Basel 2 river. I am quite certain that China understands what procyclicality means and knows it just isn't the way to keep your nation sovereign and prosperous. Would that our politicians could ever learn this lesson. Mark to market is fair in theory, as Ellen Brown has said. But she also says that implementing it in the throws of the Great Recession was a bad idea. It was a really bad idea. How can we say that this liquidation was not preplanned? We can't. It looked preplanned. By the time FASB lifted mark to market, the entire housing market had crashed. 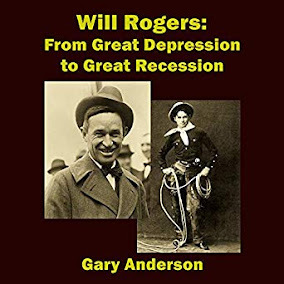 The ghost of Andrew Mellon was present as the shadow banks failed and the commercial banks pulled back in real estate operations. Mark to market was applied in the Great Depression as well, not because the loans were all bad, but because regulators wanted them to write the values of the loans down. It helped extend the Great Depression! As I recall, mark to market, or fair value accounting, was marketed as something good, something conservative, something beneficial to society in . But if a bank wanted to hold an asset, why did it have to be priced at a fire sale price? If it was not going to be sold, was that fair? And again, was it fair to subject the banks to it as the commercial paper market was crashing? Mark to market losses, as Investopedia states, has nothing to do with the sale of anything. It is an accounting entry that shut down the banks. Turns out, Alan Greenspan was warned in the 1990's about the potential destruction of allowing mark to market. Yet his predecessor, Ben Bernanke allowed it to happen 10 years later. FASB is a private board. It is like the Fed in that sense, but surely could be overruled by the Fed or most certainly by congress at the request of the Federal Reserve Bank. That never happened. That confession was too late to save main street from losing their houses. This is typical Fed behavior, joined at the hip with Basel as it is. So, for investors, one has to realize that bubbles and crashes are made worse by central banks, over and over again, especially if the panics are credit based, bank based. It means that stocks and commodities are perhaps more at risk than most investors realize. Should they decide to invest, it should be with eyes wide open. You can bet China will have its eyes wide open.